GUARDIANS OF THE GALAXY: Could Drax and Rocket Cameo In Star Wars: The Force Awakens? In a recent interview David Bautista talked about how he'd love to be in the new Star Wars movie. 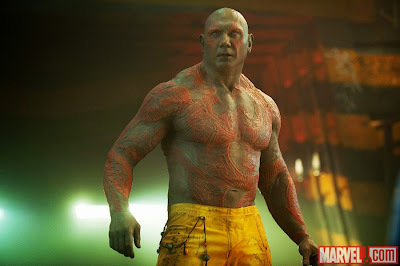 Do you think Disney would let Drax have a cameo in Star Wars: The Force Awakens?